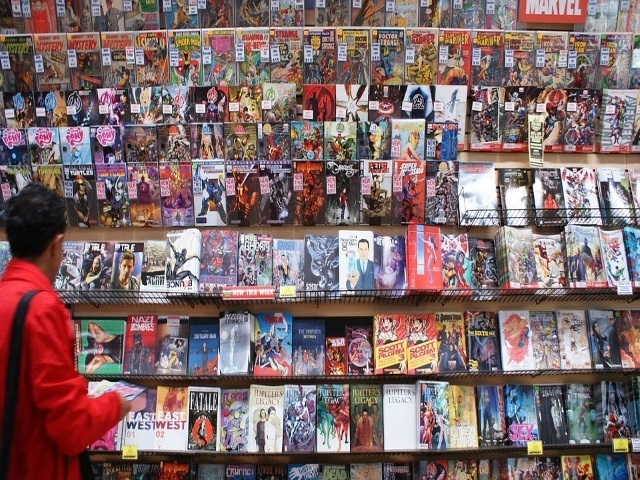 Comic books have been a part of a number of peoples lives for generations. With many people collecting copies and sharing them with other family members are favorite heroes are something we hold near and dear. With the innate desire in us to go back to our roots and enjoy vintage online video games with a simple game play, creating games that feature our beloved heroes seems to be gaining popularity. Here we are going to take a look at which of the latest comics would be perfect to transfor m into a fully immersive video game. When delving into the world of comic books, there are a number of memorable storylines that lend themselves well to a video game experience. With dynamic characters and a range of locations, the comic book Young Justice is the perfect choice to be adapted. This highly popular comic features a group of teenage superheroes that are established within the DC universe. With Familiar heroes such as Superboy, Robyn an Impulse all featured within this storyline it is ideal for a multiplayer experience. Throughout the various issues of the comic, there are a number of superheroes that join the team. This full team of Young Justice could then be adapted into a super smash bros style game where players pick their perfect character and battle until the end. This would make the perfect game for those that are fans of the comics and those that enjoy that particular game style. Although they have a highly successful film franchise, this famous group are yet to have their highly popular comic turned into a video game. The characters in the franchise all have a number of powers which boosts the potential for a dynamic game play experience. Whether this is a campaign single player game or a multiplayer online game the dynamics between the group of characters would make for an interesting experience. This comic book video game can also be taken one step further by fitting in cannon with the highly successful film franchise. This will then appeal to fans of the classic comic book as there will be a built-in law. By having a law and easter eggs featured within the game mechanics you allow the player to unlock more about their favorite characters creating a fully immersive experience. As the Marvel universe continues to unfold onscreen in the form of a highly successful film franchise, there is still a lot that fans are asking for which cannot be featured in the films. With an estimated 2.048 billion dollars millions made in the box office, for Avengers Infinity war alone, there are a number of fans wanting to know more about these characters. This is one of the reasons why The Avengers lend themselves well to a video game adaptation. Not only do they each have their own individual fan bases, but individual characters such as black widow have a storyline that is underdeveloped within the films and are only known to avid readers of the comics. Due to the vast networks of characters that are featured within The Avengers, this particular comic could be turned into an online campaign with all the key characters exploring scenes from the comics as well as fighting brand new villains. This is ideal for the fans as this gives them all the extra information that they want and the ability to explore it at their own pace. Yet another marvel character that lends themselves well to a video game adaptation is Hawkeye. This character had a storyline filled with twists and turns that is heavily featured in his own comics but is only alluded to on screen. By creating a game featuring the very beginnings of the characters life, similar to that of the Batman games, you can have an immersive experience shedding light on the elusive character. By starting at the very beginning as Clint Barton and showcasing exactly how he became Hawkeye the audience will have a gaming experience that would further explore the character unlocking hidden knowledge for some fans that they may not have known otherwise from just watching the films. Regardless of which comic books are your personal favorite, there are a number of them out there that lend themselves very well to a video game adaptation. But the question is could we be seeing more comic book video games hitting the shelves in the near future?